You must make reservations at least 5 minutes in advance of the time at Westville Wall Street. 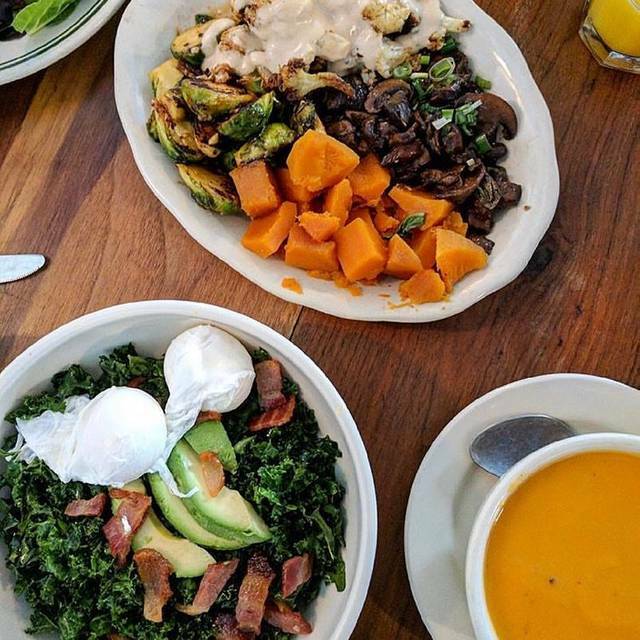 Westville Wall Street is in the heart of the Financial District in NYC and features a full brunch, lunch and dinner menu as well as food delivery and takeout to the surrounding area. 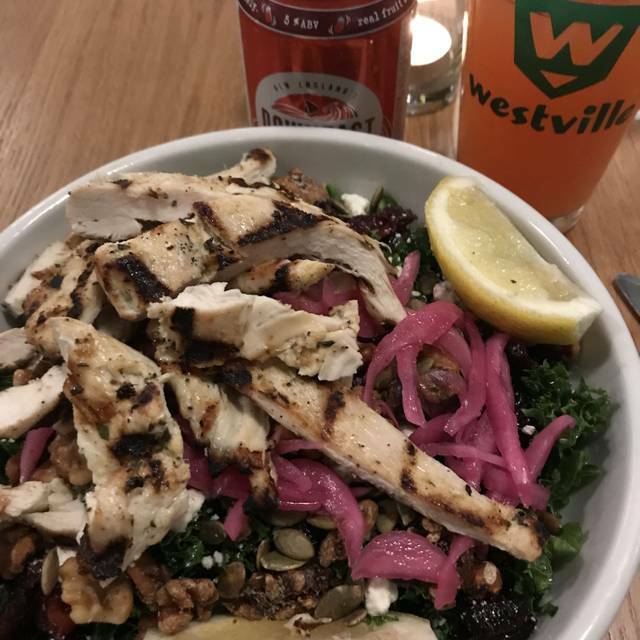 A few blocks from the South Street Seaport and Battery Park, Westville Wall Street offers casual American food in a cozy atmosphere. Providing a break from the skyscrapers and the pace of Wall Street, Westville features a full menu of market vegetables prepared simply and delivered fresh each day to give our patrons a true farm to table experience. 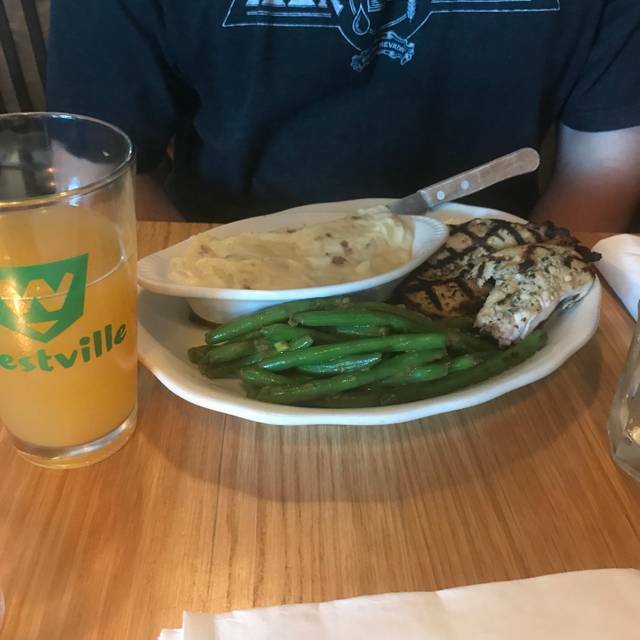 In addition to its award-winning comfort foods (such as the Smoky Mac and Cheese and Breaded Chicken Cutlet), Westville Wall Street also has a full bar with a rotating beer & wine list and daily drink specials. You come here for the veggies. Not sure why they were playing head banger music in background. Too loud and doesn’t fit the feel of this place. Should be a nice quiet hang out with good healthy food for families. Happened to see Westville on the open table venue. Needing a place for Sunday brunch in the financial district area, my husband and I thought we’d try Westville. We made an excellent choice! There was quite a few choices for a brunch/lunch including specials of the day. The prices are reasonable, portions are good and the food most tasty. 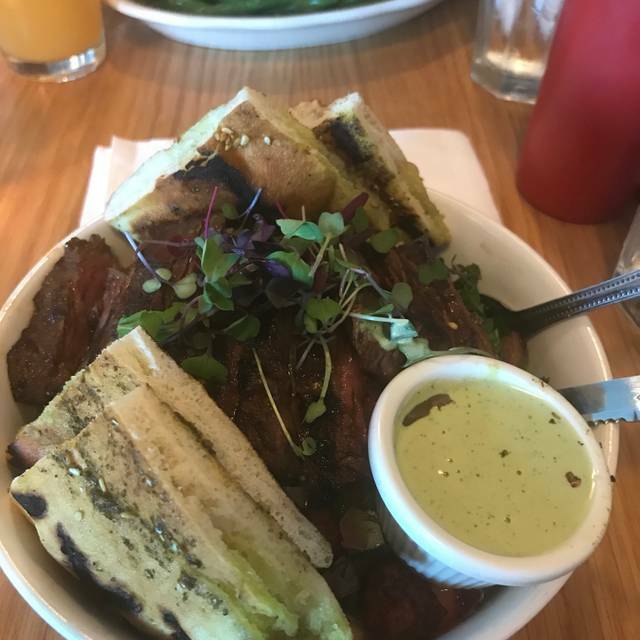 I had the Mediterranean special and my husband challah French toast with fresh strawberries. Even though the noise level was above average, I highly recommend Westville for lunch and brunch. Local restaurant, good food, will continue to be my favorite place but the dishwasher soap streaks on glass cups is a continuous thing. We took a shot here, and meeting friends who were in town visiting. We are on a restrictive diet and the server did all she could to accommodate us. The food was really good and left us feeling that we need to go back once we are is the diet! I'd recommend!! Great food and cocktails. Tables are small and the service was a little rushed. First time there for brunch, limited but nice menu, very small casual place. Good choice if you are in the area, I wouldnt suggest going too far to go there. Try the vegetable platters they are very different and good. The food was great and surprisingly, affordable! I was impressed and hope to return here soon. Great space, especially compared to the other much smaller (& noisier) locations. Food delicious, reason and wholesome. Great to have such an interesting variety of veggies that taste so much better than when you make them at home. Had the salmon, sweet potatoes and artichokes with Parmesan, delicious. Also the bar snacks were excellent, the cauliflower and nachos which i usually don’t love. Great happy hour drink specials as well. Just gets a bit noisy if you have a big loud group next to you but Overall a very pleasant experience. We were seated immediately and still had half an hour for happy hour! Our server was happy to take a bunch of drink orders at once so we could take advantage of the happy hour special, but stagger the serving. They have great specials and their market vegetables are always changing. I've been there before for work lunches, but took my husband there for his birthday. The food is always fresh and tasty and often nutritious. The tuna burger special was fantastic, the sweet potato fries were crunchy, and he enjoyed his chicken sandwich with mixed greens. There was no rush to get us out when we lingered over dessert and our last drinks. The chipotle sour margarita was surprisingly tasty, and the bill was very reasonable. Love this place! Great brunch selection - nice sized portions. This is a roomy restaurant with great food. I love that there are plenty of healthy options. Looking forward to coming back in the future. We were looking forward to having the Quinoa burger, which we liked from our last visit, but it was taken off the menu. That was a disappointment. Also, the waffle was a little too dry. We liked that the portion of the food was really generous, and service was great. Food was very good, service excellent and good place to meet friends. Casual space with very good vegan options as well as meat for the meat eaters. Lots of great vegetables. Ambience is very casual with med to high noise level. The best healthy food around. I love westville, no matter the location. Food at this Westville location was great, as always. However, the female hostess on Sunday was rather rude. When we checked in to our reservation, she told us there was a wait and she would seat us after the other people who had walked in and were on the list. What's the point of having a reservation if you get put on the list behind walk-ins?? There were also a number of tables ready. Luckily the male host came over as we were having that exchanged, checked us in, and seated us right away. I salmon I order was undercooked. I was not asked how I wanted it cooked when I placed my order. 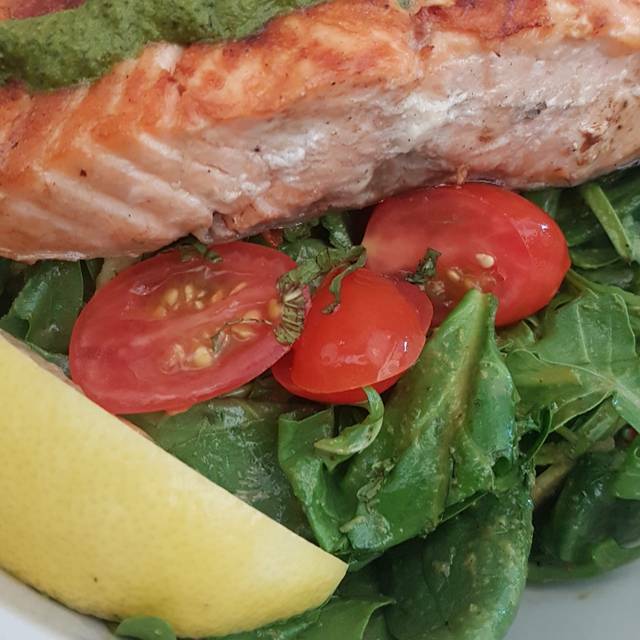 After I had the salmon sent back my new dish was slight undercooked with no seasoning. An incredible meal. Incredible service. This place is a gem. I wish I could say to try something specific, but anything that you try will be mouthwatering and nothing short of amazing. Another bonus although it doesn't apply to me, it is most certainly a great spot for vegetarians and vegans! Stopped in on a Sat for lunch. Brunch menu was varied and all 6 of us enjoyed our food. Very fresh, quick service. Waitress could not answer questions about the beers on menu but otherwise very good. Only complaint was the metal chairs were cold and uncomfortable. Great food though. Would go again. One of our favorite casual spots. Food and service always good. Delicious food and wonderful service. Great find for a neighborhood with limited options. We love Westville. The food is always delicious and moderately priced. I have always loved everything I’ve eaten there and it is a restaurant I go back to frequently. I highly recommend it. Second time I have visited for Brunch! It has been busy and packed but without being insane. Both times I have had the OJ (it is so good! must be fresh squeezed) and the skirt steak & eggs. My friend this time had one of the specials and finished every bite. In addition, the staff was fantastic- great team service approach. Highly recommend. Great service. Friendly and easygoing. Made us feel welcome, did the whole birthday dessert thing nicely. The hostess could not find my reservation in computer, but happily and professionally sit us. Staff were courteous, really grateful for this level of service on Friday night. Very good service,. Wonderful innovative menu. Best veggie burger in NY! Small location but great food. It was very dark - but great happy hour - goes until 8pm!! Left feeling full and happy! Would definitely go back!